Sony Accidentally Uploads Entire Movie to YouTube Instead of Red-Band TrailerIn case you were wondering why that Khali the Killer trailer felt so incredibly long. 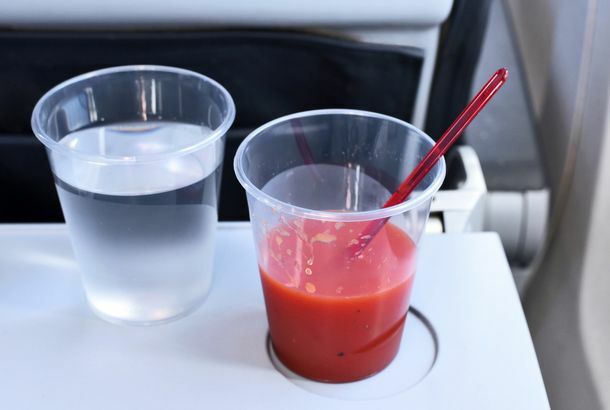 United Airlines Amends Grave Tomato Juice ErrorShame, SHAME! Guess Which Line Was Missing From the Transcript of Trump’s Immigration MeetingHint: The one in which he agreed with a Democratic senator, to the horror of Republicans. New Hampshire Fixes Mistake That Allowed Women to Commit MurderOops! 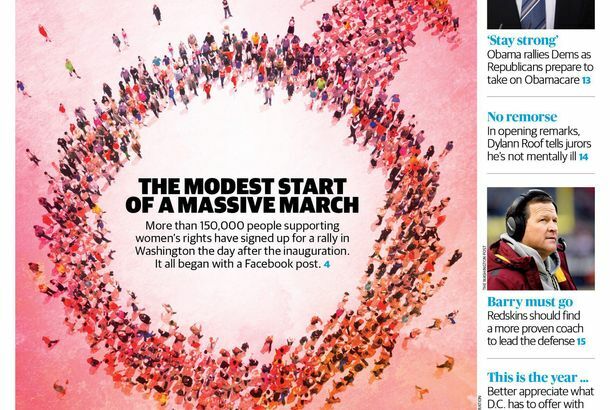 Can You Spot What’s Wrong With This Cover on the Women’s March on Washington?Oops. Clinton Really Shouldn’t Have Told Voters That Trump Wasn’t a Regular RepublicanNew analyses suggest that many pro-choice and economically liberal Democrats voted for Trump because they didn’t think he was a normal Republican. Pentagon Admits It Accidentally Sent Live Anthrax to More Than 50 LabsFacilities in 17 states, D.C., and three other countries received the samples, way up from what the Department of Defense originally reported. Sleepy Grandfather Arrested After Losing Kid on the F TrainOops. United States Not-So-Narrowly Avoids War With MexicoA Mexican helicopter accidentally crossed the border. Cracking Your iPhone Screen, and Other Real-Life ‘Own Goals’PAY ATTENTION, basically, says a psychologist who studies this stuff. Morton’s Apologizes After Forcing Cancer Patient to Remove His HatBecause cancer is offensive to restaurant customers. City Pays Man $42,500 After Mistaking Peppermints for Crack CocaineThe suspected crack user actually works as a substance-abuse counselor. Eliot Spitzer and Geraldo Rivera Bond Over Embarrassing Behavior If only Anthony Weiner could have weighed in. No, Trayvon Martin Did Not Film His Friends Beating Up a Homeless GuyGeorge Zimmerman’s lawyers said he did, but they took it back. Florida Prosecutors Accidentally Released a Photo of Trayvon Martin’s BodyAlong with George Zimmerman’s school records. Cheney Meant to Criticize McCain, Not PalinIt’s really all the same thing. Hilary Swank Will Donate Her Chechen Party Favors to CharityThe actress says she was not aware of her host’s bad reputation. Your American Dream Has Been Canceled Due to a Computer GlitchThe State Department mistakenly tells thousands they won a chance to immigrate to the United States. Whoops? Tracy Morgan Does Yet Another Homophobic Stand-up Set [Update: And Apologizes For It]Women aren’t really attracted to other women, they just hate men, he told a Nashville crowd. Chris Brown May Get Himself Kicked Off DWTSWithout even going before the judges. Taylor Momsen Apologizes for Telling Glasgow It’s Part of EnglandTaylor Momsen probably should have paid more attention in geography class. A Scary Thing HappenedAnd other fun tales of disaster. Extra Features Missing on Slumdog Millionaire DVDsNo word about the subtitles, though. Anne Hathaway to Snap Neck of Golden Globes WebmasterIf any members of the HFPA wake up with blue hair this morning, they’ll probably know why. ‘Harper’s Bazaar’ Is Large, It Contains Multitudes It’s hard to be a woman (well, we’re told), subject to the whims of fashion mags and their demanding editors. But this month it seems the ladies of Harper’s Bazaar are maliciously toying with their readers. First, on page 83, the magazine recommends the “Smart Shopping” tip of a Diane Von Furstenberg military-style coat, complete with double buttons and epaulets, depicted in a stylish red and available at Saks for a mere $575. Then, on pages 96–97, a “Buy, Keep, Store” guide — instructing readers on “what to run out and buy, what’s still right to wear, and what you can ignore — for now” puts in the “store” category those very same “military styles.” Why? (“Epaulets are too severe for fall’s soft shoulders.”) What’s an attentive reader to think? Why in one place does Bazaar hate epaulets but in another recommend DVF’s version? We’ve got no idea. And we’re sure the issue’s Von Furstenberg profile is a mere coincidence. How Much for the ‘Post’? Question of the day: Why is today’s Post 25 cents in most of the city (or at least in West Village, at Eighth Avenue and 14th Street, where we checked) and 75 cents in the East Village (or at least at Avenue A and St. Marks Place, where this was spotted)? Your guess is as good as ours. Last Week in Minor MisunderstandingsIn this installment of our remarkably lax-on-ourselves annotated errata, we’re not quite apologizing for a Nader flub, a Central Park slight, and another Brooklyn border gerrymander. But we do find it necessary to clarify a few things. Ove Is All AroundWe enjoy Google’s longstanding tradition of altering the search engine’s logo to commemorate various holidays and notable events. But we also wish — today, especially — that the logo designers consistently remembered their company’s name includes an L. Other than that, well, Happy Valentine’s Day to you, too, Googe.